A Mechanics Blog to help you find the Best Tools with reviews and information. 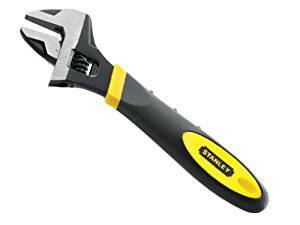 As i'm English and originally from the UK I would normally call them Spanners, however as far as I am aware if your from other parts of the world like US for example you would call them Wrenches. So does it make any odds, not really as long as you know what we are talking about and if not then please keep reading or just check out the pics on here. Before I start, if you have landed on this page and are just looking to buy then I recommend Amazon.com or Amazon.co.uk. and you can quickly switch from one end to the other. Another reason its so popular is simply due to its shape and comfort in the hand and another big advantage is the fact that you only need to buy one good set and hey presto you have Open and Rings sorted. 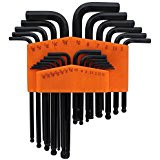 You can buy Spanners in singles or complete sets, and regarding prices well how much or how little is entirely up to you but I would always recommend having a good look at the options available and yes you may have to pay a little more for good quality set but it will pay off in the long run. You can find loads of Tools nowadays that even have a lifetime warranty so providing you use them properly they are only to buy once, there are hundreds of Brands available, far to many to mention here. I have to be honest and say there are so many options available that you may get lost in the buying process, my advise would be to checkout the Best Sellers and the Star ratings to help make a decision. I will of course give you my preference in this Blog Post. popular these days as the Combination but they definitely have their place, easy to slip onto a nut or bolt head in a tight place. The down side of the Open end is it can slip off fairly easily and also the jaws can be forced to bend open if you do not have a really good strong set of Spanners. easy right, of course they have. The Ring Spanner can be a little bit different regarding the shape of the thing, instead of it running straight to the end they can have what we call a swan neck, this enables them to be slotted down into difficult spaces where you can't get straight onto the bolt head or nut. Checkout the pictures to see what I mean. Ratchet Spanner: A Ratchet spanner is relatively new compared to all the rest, a fairly technical piece of kit, it has a Ring end and the nut captivating part has a built in Ratchet, really clever idea, also to top it off the end of the spanner can usually be swiveled back. These Ratchet Spanners are very handy, if you have ever used them I know you will fully understand where i'm coming from. Adjustable Spanners: An Adjustable Spanner has an Open End that can be opened and closed to fit any Bolt Head or Nut, well I say any but this would depend on the size of the Adjustable Spanner to start with. 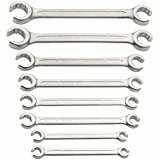 The adjustment is normally made by turning a finger nut on the spanner, although these Spanners are very useful and are no doubt good to keep as a "just in case" tool, it is normal practice for a Mechanic to use a proper fitting Combination, Ring or Open end Spanner. Don't get me wrong, there is definitely a place for an Adjustable Spanner in everyone's Tool box or Tool Set as they can most certainly help you out, specially if you don't have the correct Spanner for the job. 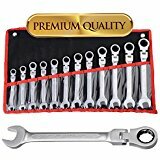 All the rest: There are a few other different spanners, some are more what I would class as a Wrench, these have an end that just grips a Nut or Bolt Head, even Circular items like Pipes and Pipe Nuts. 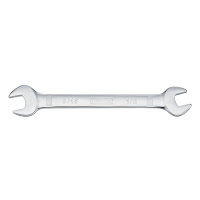 These type of Spanners / Wrenches are handy for Plumbing and Pipe work. There are also Open Ended Ring Spanners, these are good when you have a nut either on a pipe or on a bolt, take a look at the picture and you will get where i'm coming from. Good, Bad & Ugly: So after all of the above, and I do hope not to boring. Here's just a tiny snippet of the Spanners / Wrenches that I like. Ok so lets make a start and not mess about with this. 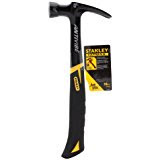 Stanley is a Brand that has been on the go for a long long time and they definitely have a good reliable product, they are probably better known for Tape Measures and Carpenters tools but I must say I like their Adjustable Spanners, they look good and feel good in the hand and are good quality without being too expensive. Next how about the Ratchet Spanners, again there are loads out there so lets go for a not so well known brand that has improved massively and now produces very good gear, i'm talking about Tekton, they are producing all sorts of tools but I do like the Ratchet Spanners, the feature I like is the Hexagon head that resists slipping off when you are working. Another excellent brand is Britool, bit more expensive but very good. Ring Spanners, I will mention just 2 Brands here, if your looking for a very good quality without paying a high price then you definitely wont go far wrong with Draper but if your happy to pay a little bit more then Stahlwille, both of these are well known brands with a long history in making tools so they cant be bad. Open End Spanners A very well established brand is Gedore, well established and very strong and robust spanners that are made in Germany, of course having said all of this you could pick any one of the brands I have already mentioned. I am trying to mix it up a bit here to open up the choices but please remember I am only giving an opinion based on experience and recent research. The final one i'm going to mention is the Combination Spanner, so as before, any of the above plus I can't finish this Post without mentioning Teng Tools they are very good quality, not cheap but well worth the money and they come with a lifetime guarantee. Ladies and Gentlemen that's enough for now, my next Post will cover Screwdrivers, I hope you find this interesting, can you please comment and let me know what you think. You can also find me on facebook@gimaintenanceservices my business page. Spanners / Wrenches: Ok so lets just start with the obvious and of course every Mechanic will most certainly need Spanners, the most popular are combination spanners, this means one end of the spanner is a ring and the other is open ended same as the pic. , this meaning a ring on both ends. 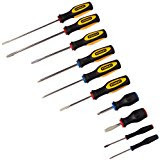 Screwdrivers: An absolute must for any Mechanic is the trusty Screwdriver, we have all heard of the Phillips Screwdriver and the Flat Blade, nowadays you also have Pozi Drive and Torques Screwdrivers, you may also have the Cross Head, just another for the collection. Sockets: Usually bought as a set on its own to make up a major part of any Mechanics Tool Set, these start with very small inexpensive sets up to sets holding hundreds of sockets and other pieces of kit. 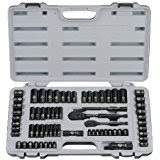 The basics of any socket set will be a Ratchet, Sockets, T Bar, Short and Long Extension and more often than not you will also have a couple of Spark Plug Sockets in there, ohh almost forgot to mention a Universal Joint. Allen Keys: Although nowadays these are more than likely included in most Socket Sets you will still find a set of Allen Keys tucked away somewhere in a Mechanics Tool Set, if your unsure what these are then a simple explanation is they are a Hex drive L shaped tool, they can also come with a T Piece shaped handle or as a socket type driver. 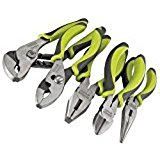 Pliers & Side Cutters: Always a standard pair of Pliers and a pair of long nose Pliers, top this of with a good set of Side Cutting Pliers, I say good because as any mechanic would tell you we do expect these to cut through almost anything, ok i am joking a bit here but yes they do need to be pretty decent quality to do their job. Hammers & Punches: If you don't have a Hammer then forget it, this may sound a bit harsh but to be honest its not always just using a Spanner or Screwdriver, lots of things need a bit of persuasion to come apart and yes it is very normal to see a Mechanic wielding a Hammer. Also if you have a Hammer then there should also be some Punches in here, used for driving out pins and again helping dismantle various things. Odds & Sodds: Now depending on what you buy and how much you spend there can be all manner of other Tools added to a Tool Kit, possibly, Scissors, Electrical Pliers, Insulation Tape, Plastic Ties and the list goes on. What's Next: In my next post I will talk in more detail about some specific tools, probably starting with Spanners, i'm going to try my best to help you chose the Best Spanners for your Tool Set. Copyright All rights reserved. . Simple theme. Powered by Blogger.